We understand that starting a landscaping project can be an overwhelming prospect. After all, modern landscaping can include anything from flower beds to an outdoor kitchen. You don’t have to have all – or even any – of the answers when you begin the process, but it is important to have a clear vision of the project by the time the consultation phase is completed. For some people it can be difficult to figure out where to even start. Other people might need help figuring out where to stop due to budget or maintenance requirements. One person might want a quiet sanctuary free of any signs of work while another person might want something that requires seasonal maintenance to keep them active and outdoors. What happens when these two people share a backyard? Fortunately, at Cumberland Valley Tree Service – Landscaping we are experienced at walking people through the process from consultation through implementation. Here are five things to consider when you are starting a landscaping project that will result in a finished product that is built within your restraints while fulfilling all of your needs. How do you plan to utilize the space? The best way to start a landscaping consultation is to discuss how the homeowner expects to utilize the finished space. On one side of the spectrum, it could be as simple as installing planting beds to soften the look of your house and make it so you don’t have to mow grass right up against it. On the other end, maybe you are envisioning a large-scale outdoor kitchen with a grilling area and lights. Is this going to a quiet outdoor sanctuary where you plan to read in the shade? Will there be grandchildren running around so we have to include increased safety measures? And so on, until we have a clear vision of what you want and what you don’t want. The goal is to create something that adds value to your life and your home for the long term. Sometimes we’ll use pictures of past projects to get the conversation started. Every project is as unique as the homeowners who commission them, but it can be very helpful to look at an example and say, ‘Yes, I like that’ or ‘No, that’s not really our style.’ And then it can get more specific once we’re all on the same page. Maybe the example that we’ll show you is close to what you were picturing, but you would like to make some adjustments. Now we’re making some progress, and the creativity can flow. At the same time, our customers will often bring us pictures of ideas that they have come across that they have pinned onto Pinterest board or printed out. Occasionally, homeowners will even come to us and say, ‘We recently moved into a new house, and we would like as much as possible to replicate our old landscaping at the new site.’ We’ll examine the new space and figure out how to make that happen. Who will do the installation? Another factor to consider when turning your landscaping fantasy into an actionable plan is who will actually be doing the installation. When we provide a consultation and develop a design, we hope that we will be selected to perform the full installation, but once we turn over the design to the customer, it is yours to do with as you please. If you decide to hire CVTS-L to make the design a reality, then the cost of the design work and consultation will be applied against the installation costs. You are welcome to shop it around or install it yourself if you are so inclined. Naturally, this is largely dependent on the skill of the customer, and certainly some of our customers enjoy taking ownership of their properties and getting their hands dirty. 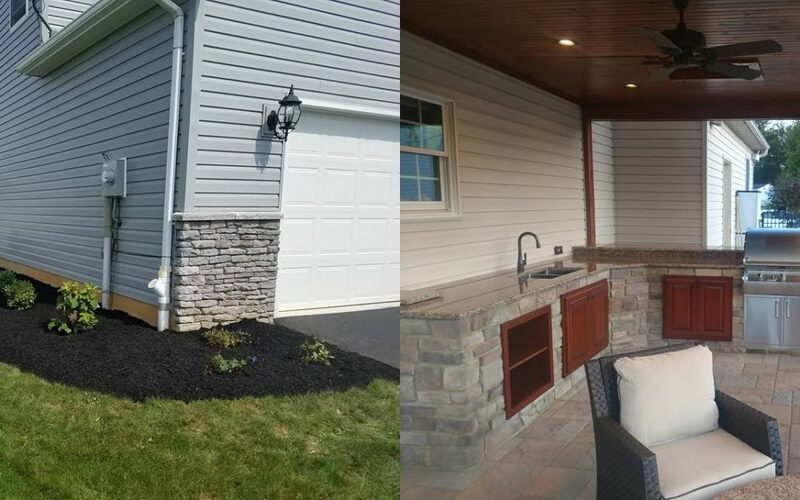 On the other hand, our teams are trained at installing all manner of landscapes and hardscapes quickly and professionally (learn more about than in Part 3: Implementation). Who will perform the maintenance? The “work” of a landscaping project doesn’t necessarily end when the installation is complete. Landscapes are long-term investments, and the reality of the seasonal, annual and monthly maintenance requirements need to be considered carefully before the project ever leaves the design phase. At CVTS-L, not only can we identify what needs to be done (and when it needs to be done) to maintain any project that we design for do-it-yourselfers, but we can also be hired to perform those tasks as needed. Hiring professionals to install and maintain your landscape is a great way to bring your vision to life without turning your backyard sanctuary into an expensive chore. Nothing brings a fantasy project back to reality like a budget. Fortunately, we are skilled at juggling the variables from consultation through implementation to ensure that our customers get a finished product that meets their needs in terms of functionality, aesthetics, installation, maintenance and budget. In Part 2: Design, we’ll look at how we use 2-D drawings and/or 3-D renderings to make it as clear as possible what the finished project will include. Then, in Part 3: Implementation, we will discuss some of the strategies we have for installing and maintaining the landscape that include reimbursements based on the amount of the project we agree to go forward with and gradual, budget-friendly roll-outs.